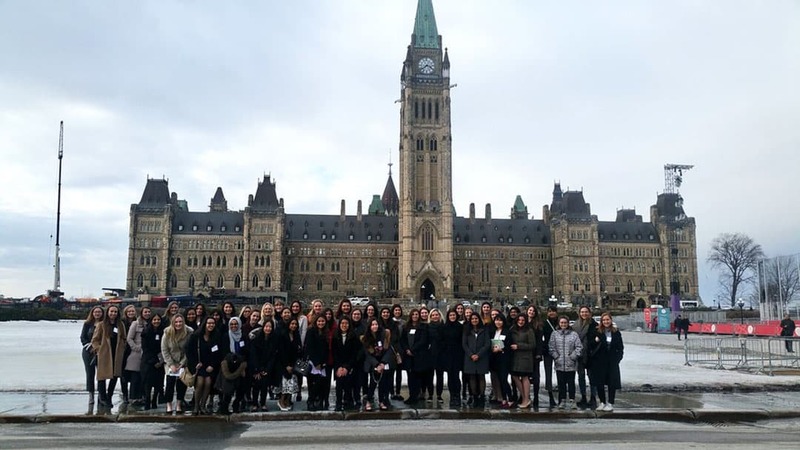 Last week, 49 other women and I went to Ottawa to shadow a parliamentarian as part of the winter 2018 instalment of the U of T Women in House program. Personally, I went into the experience as a non-partisan, and cynical of a career in politics. I was, however, interested in experiencing the everyday life of a federal politician: the work they do, the decisions they make, and how they make them. I did not go into the experience with the intention of considering how I could one day hold political office, despite that being part of the program’s purpose. You can imagine my surprise, then, when I came out of the experience with a little less cynicism and a little more inspiration, while still maintaining a critical lens of a colonial political system and its inequitable effects on the people in this country. I credit a large part of my positive experience to the parliamentarian I was assigned to shadow: the Honourable Bardish Chagger. Bardish, like me, is Punjabi, assertive, and unapologetic. She is also the Minister of Small Business and Tourism and the first woman to hold the position of Leader of the Government in the House of Commons. I met Bardish on the morning of March 1 and was struck by two things: first, she was about a head shorter than me; second, she was wearing large, comfortable, furry boots. Despite our height difference, she walked with double the speed and double the purpose. Within the first few seconds of meeting her, she was leading me out of her office and into the House of Commons while the A/V crew was setting up for Question Period. 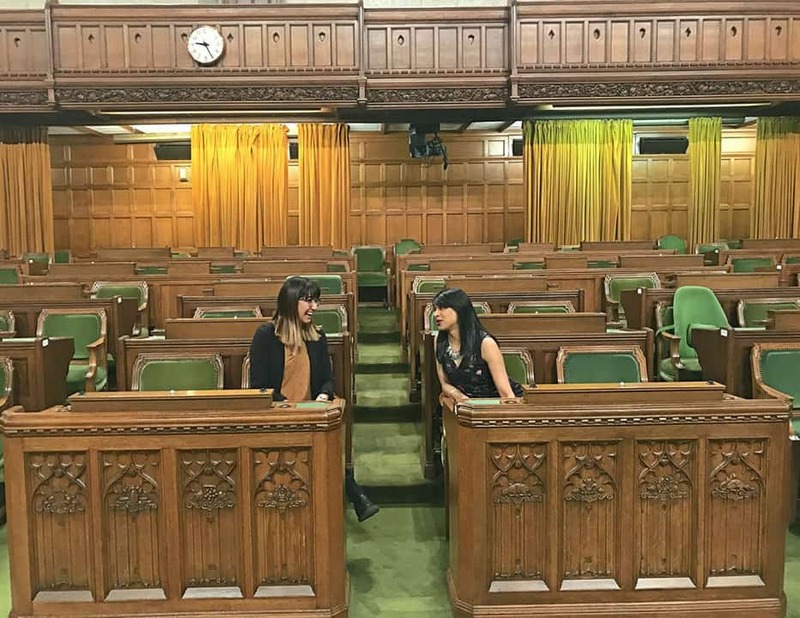 She had me sit down in Prime Minister Justin Trudeau’s seat — while she sat in her seat beside — which allowed me to take a moment to consider the physical space where members of Parliament advocate on behalf of their constituency. While I realized that it was part of her job to advocate for the current Liberal Party Prime Minister, and while I don’t see a political path ahead of me anytime soon, I did appreciate her genuine effort to make me feel comfortable and ensure I got as much as I could from the experience. Photo Courtesy of Bardish Chagger. When I witnessed Question Period in the House at 2:00 pm later that day, I noticed that Bardish’s demeanour was demonstrably different than many of the other ministers: she was still wearing her boots while others were adorned in dress shoes or heels, she would comfortably sit in different positions, and she was calmly listening as the debate became heated. The most notable realization I had during Question Period was that, no matter which side of the House spoke, the older men who made up a majority of the House would continually heckle their opposition — especially when women members were speaking. It’s hard to notice this when you’re watching Question Period on television because the voices of those speaking are amplified. But when you’re in the House, the reality is you can barely hear the member speaking over the cross-talk and heckling. The gender dynamics you suspect are at play are on wide display for us all to witness. Seeing Bardish defiantly be assertive in a space that was dominated by masculinity and whiteness made me appreciate her presence at Parliament even more. For the rest of the day, Bardish continued to talk to me about her role and ensured we stop everytime we crossed paths with another parliamentarian or high-level staffer. She was genuinely interested in telling me about everyone’s position in a way I could not receive from simply watching the news. 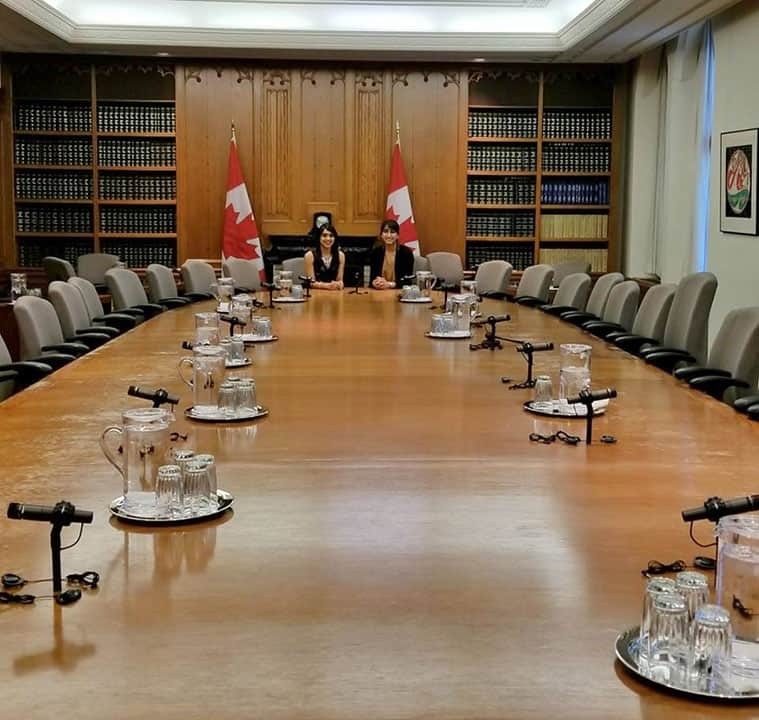 I also saw her in action at a Board of Internal Economy meeting where sexual harassment at the workplace in Parliament was being discussed, sat in on her briefing with the Prime Minister’s Office about the day ahead, and was offered a sneak a peek at the Cabinet meeting before it began. Through shadowing Bardish at these meetings, my appreciation for her work transcended to a deeper level. Bardish is not one to passively process anything that comes her way — in every interaction I saw her partake in, she always asked her colleagues questions and proposed her own well thought-out arguments. In moments like these, I witnessed how, even in federal politics, members from the same party can disagree about the specifics of their platforms or the phrasing of proposals. In each interaction, I witnessed her challenging the status quo and trying to make each issue more accessible and equitable. Photo Courtesy of Bardish Chagger.. I did not choose to write about my day on Parliament Hill to impart how great Bardish is — although she was a pleasure to meet and truly is a great person. Rather, I’m writing to discuss how she validates the kind of work and ideals I conduct myself with and wish to continue to embody as a student trying to improve my own community. This past year in my role as the President of the Arts & Science Students’ Union (ASSU), I saw many similarities between the kind of work I do in the world of student and faculty governance and Bardish’s work in state governance. I regularly attend various committee meetings on academic policies, curriculums, and appeals in my faculty, and I also run my own team of executives and staff with whom I plan events and release statements in response to events in our community. I saw myself in Bardish when she would question others during her meetings. I consistently question and discuss issues with people in committee meetings who are often male, white, and older than me in paid or tenured faculty positions. As a racialized woman student leader in a space still imbued with its own colonial and masculine structures of leadership, Bardish’s work provided me with confirmation that my own actions, assertiveness, and confidence are warranted and needed for the future of our country. I saw how Bardish’s leadership had a trickle-down effect in her office. When I sat to talk with her at the end of the day, I told her I was most grateful for the kindness of her staff who accompanied me throughout the day. I commended her for surrounding herself with a staff made up of other extremely capable, assertive, and racialized women, recognizing that most parliamentary staff are often not diverse in this holistic way. Having myself previously worked in the corporate sector last summer, I was aware of how often diverse hiring can become extremely tokenistic and disingenuous, and so was aware and appreciative of when this wasn’t the case with Bardish’s team. All in all, you could say that the U of T Women in House program was a great experience for me, one I hope more women — who are not just students at a high-level academic institution — are able to experience. The reality is that federal politicians hold significant political power in making decisions on the unceded territory of the Algonquin people. Their decisions affect many people from Indigenous, immigrant, and racialized communities. The more representative Parliament becomes to truly reflect the community it is mandated to serve, the more inequitable processes and decisions will lose power and validity. Having more diverse women who hold political power is the first step to moving toward a future in which I see myself being genuinely interested to participate. Let’s reflect on that possible future on International Women’s Day and every other day.